In 1977 a group of us traveled to Cleveland (our parents actually drove us since none us could drive yet), for our first Star Trek convention. It opened up a whole new world for us - young teens from the country who had watched the reruns enough times to quote whole episodes from memory, collected the novelizations, built the models and even managed to buy a few Starlog magazine from our local newsstand in the pharmacy when we could get to town. But here we met the stars (Doohan, Takei, and Koenig), saw people in costumes, and entered our first dealers hall. While there I bought a slim, ziplock bagged game with a picture of a Federation dreadnaught on the cover. I remember reading the instructions on the way home by the light of the streetlights until we left the city. Here was my first starship combat game, but certainly not my last. Those first few battles where played with just the cardboard cards until I could save up enough money to send away for the plastic ships. Battles were waged all over the house since the game doesn't need a board. Furniture was asteroids and stairs made for interesting movements. It was also my first try at home rules with homemade ship designs. The game was a favorite with my friends and I, and then with my younger brothers. 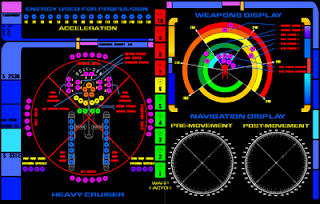 I even played it in college - nothing like a bunch of astrophysics majors to be Star Trek fans. I fact I never stopped playing it. Fast forward to 1997. The game has gotten a little dog-eared (I had picked up a second addition a one point), and I was now playing it with the next generation. I decided to write a letter to Lou Zocchi (the designer) on the off chance he was still at the address listed in the game. That was the beginning of my friendship with Lou. He asked me to run Star Fleet Battle Manual at Origins that year and I have almost every year since. I've played it on tables, on the floor, in the open gaming area. 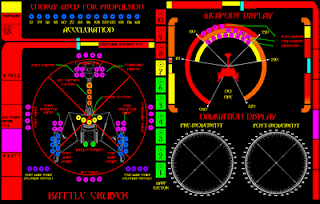 I even have the approved starbase design with 12-foot diameter field of fire with the super phasers - always a crowd pleaser. This year I've decided to run a tournament for all those long time fans (and maybe some new ones). 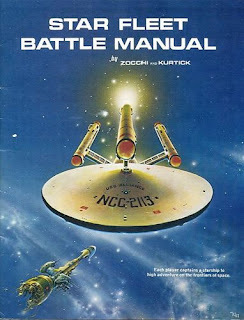 When I was talking to Lou last week about it he said that as far as he knows there has never been a Star Flee Battle Manual tournament (at least not an official one). 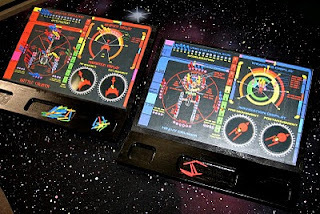 Those this will be the First Intergalactic Star Fleet Battle Manual Tournament; open to all intelligent beings and races, though I do feel it will be heavy on the human side. To add some newness and color to the game I've made some energy and damage allocation boards, rather than just the old record sheets. I think that they have turned out rather nicely. Colored cribbage pegs serve as energy and damage indicators. You simply plug them in. So if you will be at Origins this year and are a fan (or want to learn) stop by. The events should be going up soon at the Origins site. The game will be run Wednesday, Thursday and Friday with the final battle on Saturday.